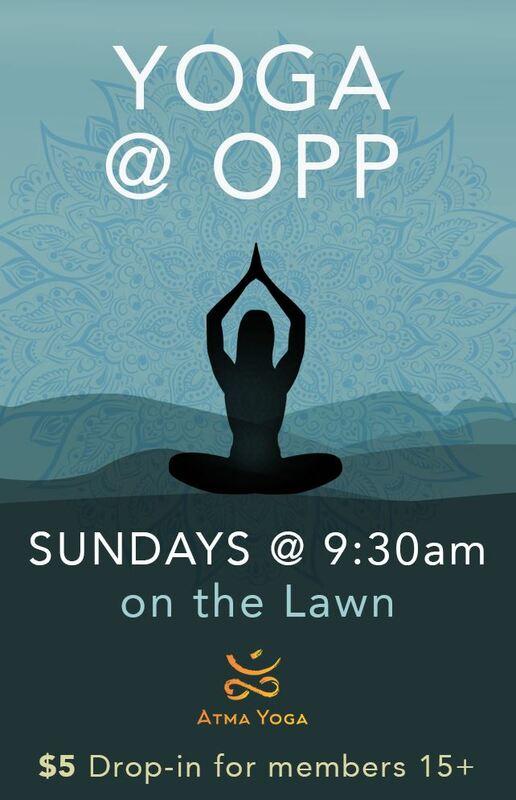 Join us for a one hour drop-in yoga class on the upper lawn, taught by Liz from Atma Yoga Studio. This Sunday's class is $5 for OPP members. Please bring a yoga mat and any props you may have. Atma will bring a few extra mats for those who don't have them. Teens and adults of all skill levels are welcome. The pool is only open for adult swim at this time.